An Equipment Manufacturer Leverages Fishbowl’s LinkTuner to Measure Windchill Performance Before, During and After a Global Implementation. Know what the incumbent system performance was at the time. As each division was going through migration and Go Live, the customer would run benchmarks on their existing Creo+Windchill environment, run benchmarks on the future systems in the test/QA environments, and then they would run benchmarks during production Go Live. They also run ongoing scheduled benchmark monitoring to insure system performance does not degrade. 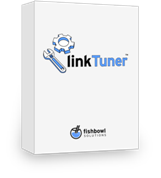 Fishbowl’s LinkTuner gave them a simple process to repeat the exact same benchmark test again and again without loading cache and diminishing the test results. It also performed the benchmarks on local Creo workstations so it perfectly emulated what the end user does every day (it doesn’t “fake” transactions at the server level). As each division migrated and went live on the new global Windchill system, the team was confident the users would have a good experience on “Day 1”, and after all you only have one chance at making a good first impression. Are you looking to go global or maybe go into the cloud? Are you curious about what the end user performance experience will be like… and I mean really be like? Get ahead of potential performance issues by testing and benchmarking performance with actual user processes and data with Fishbowl’s LinkTuner for PTC Windchill. Read below for a customer example of how leveraging LinkTuner enabled them to confidently roll out PTC Windchill to their worldwide locations. They consolidated systems for better efficiencies at many levels and processes.